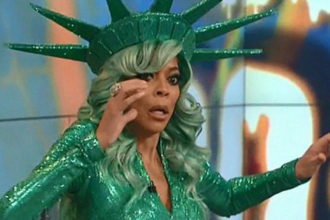 American TV show host Wendy Williams‘ husband Kevin Hunter is reported to be living a double life as he has a side chick. Daily Mail reports that the 46-year old is having an affair with a certain Sharina Hudson, a 32-year old massage therapist. Daily Mail claims they had been investigating Kevin for a year and can now authoritatively state that he is indeed living a double life. They definitely have the photos and video to back their claims. Kevin and Wendy have been married for about 20 years and have a son together, Kevin Jr, born in 2000. Kevin runs a production company as well as managing his wife’s TV career. Daily Mail reports that he has been dividing his time between the New Jersey home he shares with Wendy and a secluded home is Morristown he acquired for Hudson. 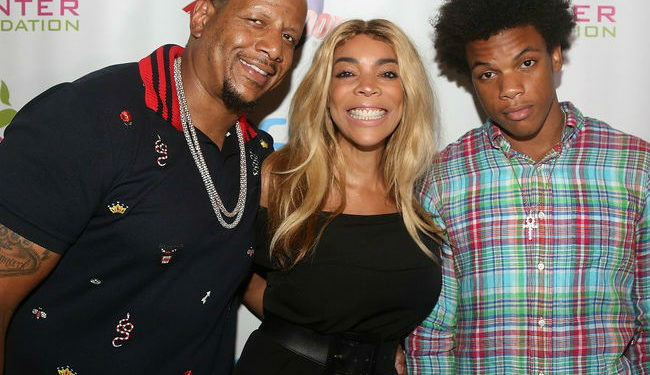 This is not the first time their marriage has been rocked by infidelity as Wendy infamously once caught him cheating in 2001 after the birth of their son but later went on to say it had only made them stronger. Daily Mail pictured Hudson wearing an engagement ring on her finger and there are suspicions that Kevin might be planning on ditching Wendy and getting together with his mistress.